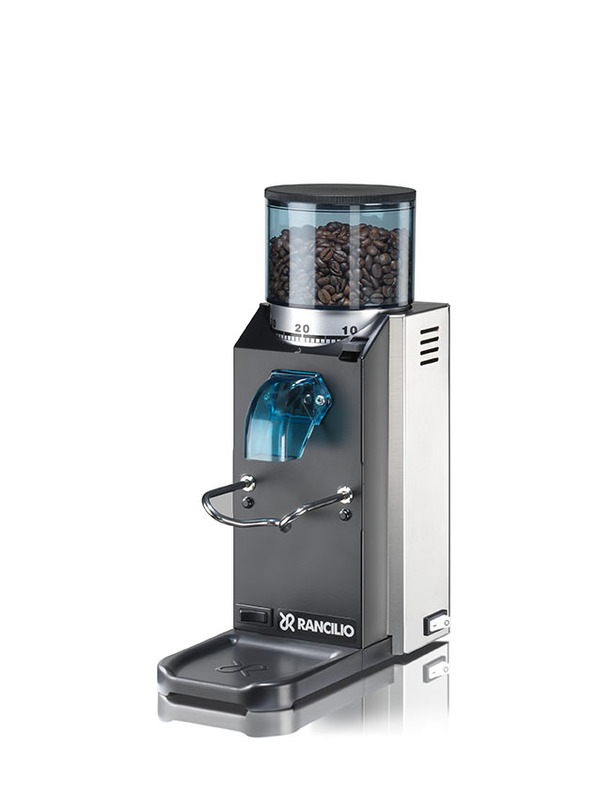 The Rocky SD is a doser burr coffee grinder with 50 mm plate grinding burrs found in entry-level commercial grinders. Capable of grinding up to 7.7 lbs per hour the Rocky SD will be sure to keep up with your needs. 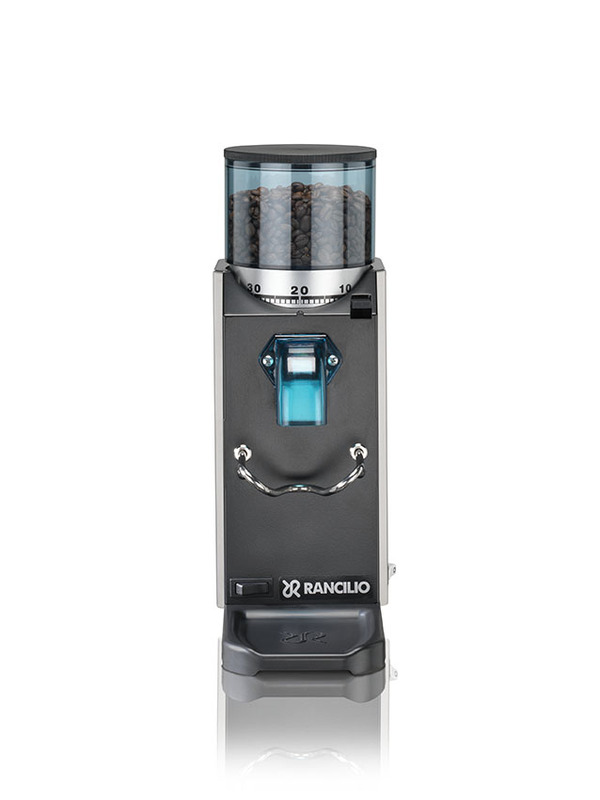 The Rocky SD features a dosing chamber which holds freshly ground coffee. At the pull of a handle, just like the pros, about 7 grams of coffee are dispensed directly into the portafilter. 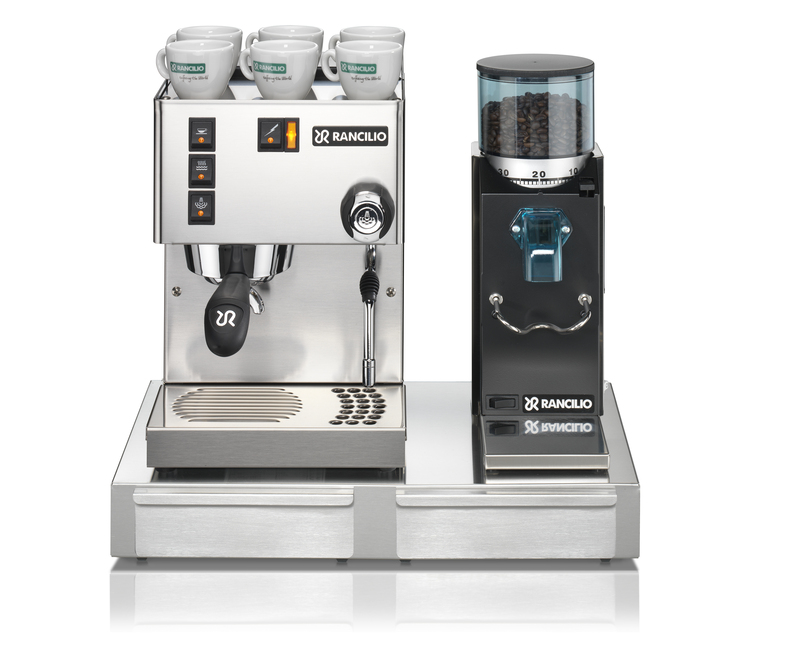 The Rocky SD features a plastic fork to hold your portafilter in place. The motor of the Rocky SD is a 166-watt direct drive motor that is extremely powerful. Spinning at 1725 RPM's. This powerful grinder is quiet during operation. Rocky SD features simple controls. Change the grind setting with a simple unlock of the lever and a quick spin of the bean hopper. It can grind coffee to a fine powder or course grind in seconds. The tinted bean hopper of the Rocky SD keeps just over 1/2 a pound of whole bean coffee fresh and ready to grind on-demand.